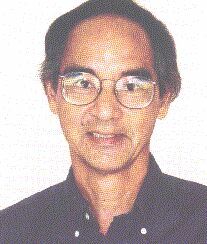 Dennis Kam, (b. 1942) Professor and Chair, Department of Music Theory and Composition at the University of Miami, earned a B.M. degree from Oberlin Conservatory of Music, a M.F.A. degree from the University of Hawaii, and a D.M.A. degree from the University of Illinois. He also has studied at the Mozarteum in Austria and Toho Gakuen in Japan. Kam has received many awards, grants and commissions, including important BMI awards. During 1970-1972, he was Composer-in-Residence for Honolulu and the State of Hawaii through the Ford Foundation/MENC Contemporary Music Project. Kam is an active member of the College Music Society and has been a member of both the Executive and National Councils of the Society of Composers, Inc. As a conductor, he directs the Other Ensemble (group for the performance of new music) at the University of Miami and serves as theory-composition consultant/guest conductor for the South Florida Youth Symphony. His music is published by Belwin-Mills, Kalmus, Media Press, and Smith Publications and recorded on Capstone and Living Artists Recordings.